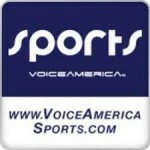 All kinds of possible things related to sports are covered by Voice America Sports. The radio team presents the latest headlines and news on various major national, international and local sport news. Along with news Voice America Sports also very well known for their talk shows too.